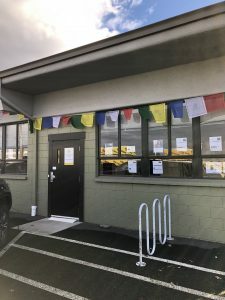 Open Sky is 100% volunteer run. 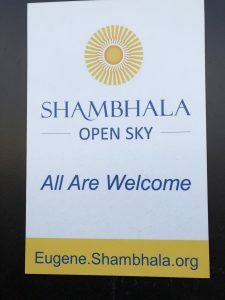 Shambhala is a large global community and Open Sky a small local center without any paid staff therefore we ask that volunteers first connect with us through practice and community and once one has chosen to become a member, we hope that you will engage in the practice of service by volunteering. We need and appreciate your help! There are many ways to engage. Volunteer-ship doesn’t require an extensive amount of time. If you are interested in using the techniques we learn through mindfulness meditation to help the world, below are some ideas for you! Most importantly, think about what you are skilled at or really enjoy and put those talents to work – if none of the suggestions are your “thing” or the right fit, talk to us about how you would like to help make a difference in our Oregon community. *Host public events to welcome others and show them around, Timekeeper for Open Sitting, Flower arrangements. There are so many ways you can help make Enlightened Society Possible! Contact us!